Football fans unite! No matter which team you’re rooting for this season, all die-hard football fans can agree that tailgating is a key component to enjoying the American sport. 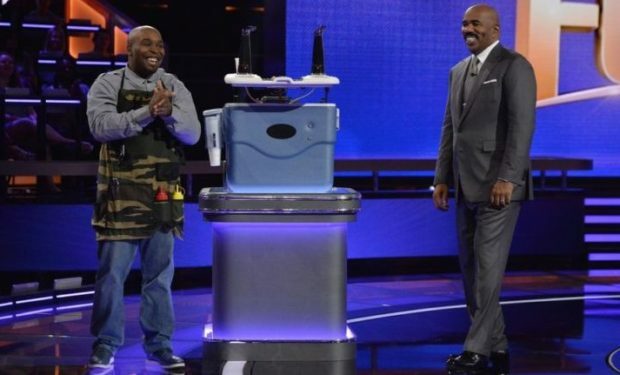 And right in time for September, TV host Steve Harvey is introducing two tailgating products on Steve Harvey’s Funderdome. First up is The Ultimate Tailgator Cooler. Inventor Charles from Harper Woods, Michigan presents his cooler which doesn’t just hold drinks and keep ’em cool, but it also includes two taps (one for adults, one for kids), a grill, and a Bluetooth speaker for music.